The latest generation of polymer fly lines, extremely supple, smooth and without memory. 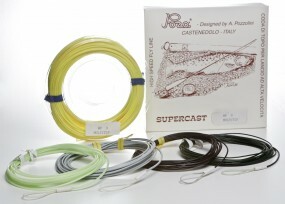 The supercast series are produced in the United States, to our specifications by one of the world’s leading fly line manufacturers. The floating versions have a long and slender front tip for precise and delicate presentation.